Blog - Edwin Wyant returns to wine industry; Mencia - City Vino, Inc. If Edwin’s name seems familiar, it should be. Edwin, along with his parents, owned The Virginia Wine Experience and Hop & Wine stores in Fredericksburg. Edwin will be in our store, pouring Lagariza Mencia among other Spanish wines for you to try. He would love to catch up with some former customers and make the acquaintance of other wine enthusiasts. One of the Spanish wines, Lagariza Mencia, that Edwin will be pouring will be one made from the grape Mencia (pronounced Men-thee-ah). At one time it was thought that the grape was a clone of Cabernet Franc, due to similar aromas and flavors, but DNA results proved them to be unrelated; however, the grape was found to be identical to the grape Jaen do Dao in Portugal. 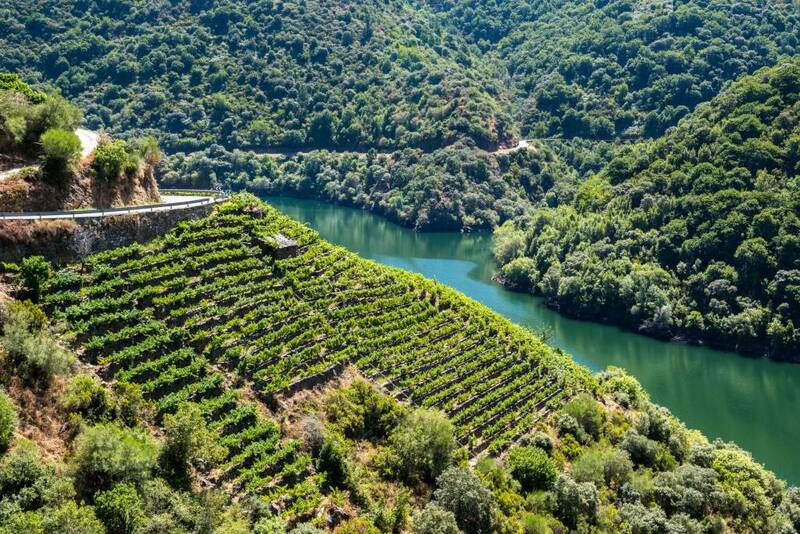 There are well over 20,000 acres of Mencia planted in the Iberian Peninsula, where it is primarily found in Galicia in the northwest part of Spain, in the Bierzo, Valdeorras and Ribeira Sacra appellations. The grape has gained in popularity since the 1990s as up-and-coming winemakers embraced the grape, especially from old vines. Old vines will produce less fruit, but tend to produce wines with much concentrated flavors, making for higher-quality wines. Wines made from Mencia tend to have fairly generous levels of alcohol, tannins, body and acidity. The wines often have a deep red color with hints of violet where the wine hits the glass. The wines can have flavors of red fruits like cherries and pomegranates, spiciness from black pepper notes, and a bit of earthiness. Now you see what it may have been confused with Cab Franc. Due to the high acidity, wines made from Mencia can age. Feel free to decant the wine for 30-45 minutes prior to enjoying. Wines from Mencia are food friendly! Try one with foods that are peppery or earthy like a steak crusted in pepper, a pastrami sandwich, pepperoni pizza, mushroom risotto, roasted portobello mushrooms or even fajitas. For noshing, pair Mencia with salami edged in pepper, monterey jack or cheddar cheese, or match it with cheeses from its home country like manchego or idiazabal.